When choosing the right gear for your camping trip, you need to make sure that what you bring is able to stand up to the job. 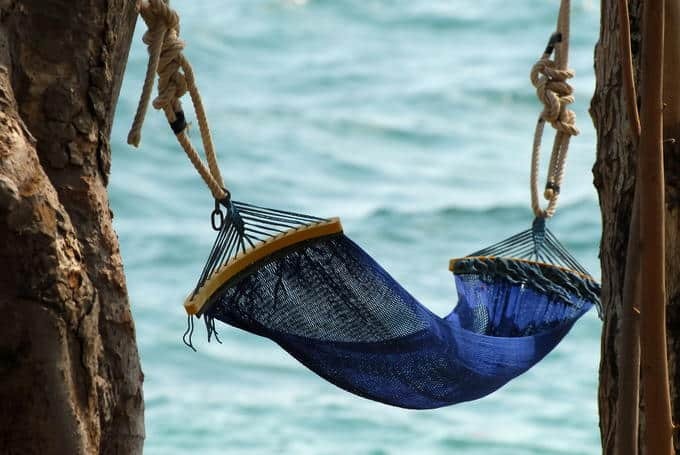 Hammock straps are relatively simple to use, but there are a few considerations that must be kept in mind when making your purchase. 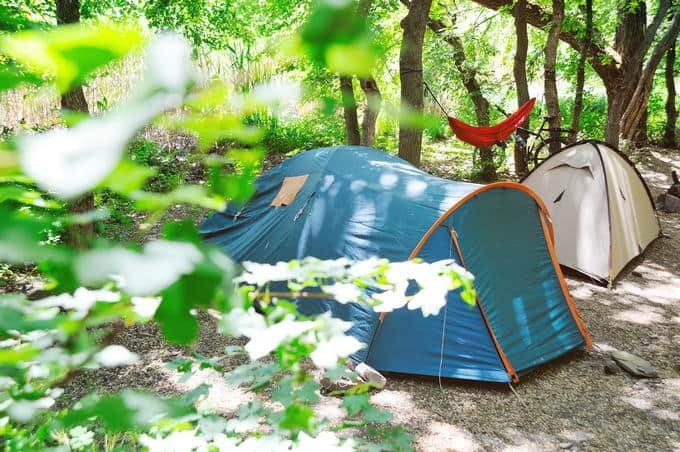 Aspects of your trip that will affect your choice cover the specific environment you plan on camping in, as well as the type of support you plan to bring. Time of year is also worth keeping in mind, as winter conditions aren’t optimal for some strap types. We also aim to cover how to use hammock straps properly, enabling you to easily set yours up, no matter what your ultimate choice. How To Use Hammock Straps? 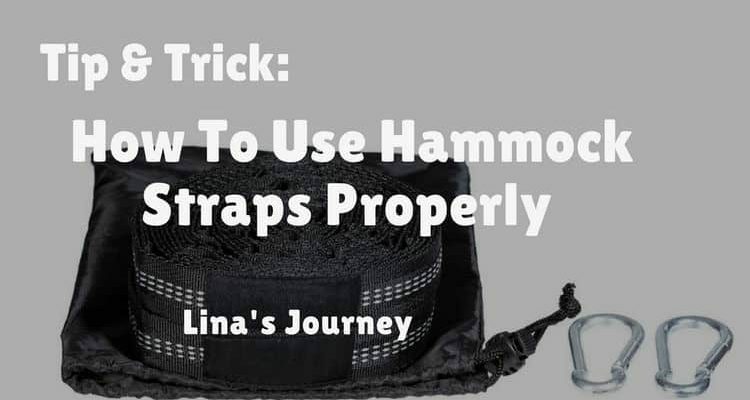 Have a look main steps to use hammock straps properly while camping or in your home or yard. Hammock straps are really useful for tying a hammock to a tree. Step 1: Look for 2 solid trees (to ensure stability). Step 2: Wrap the straps around the trunk of each tree, passing the ends of the strap that are loose through the loop on the opposite end, and fasten it tightly. Do this with both straps/trees. Step 3: Attach the hammock suspension to the straps. Step 4: Check and adjust the hammock. Step 5: You’re all done! Relax and lie down now. Camping hammocks take a little more work to get right. First of all, backpackers will be overly encumbered if they bring an artificial stand on their trip, with the majority choosing to use whatever nature has to offer. 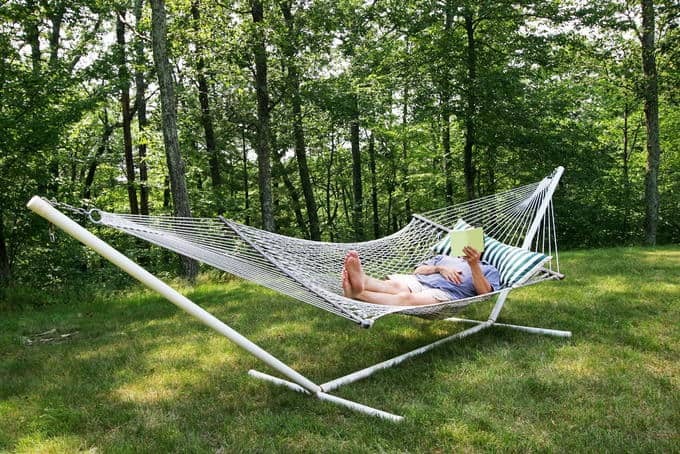 Backyard hammocks will generally come with instructions included, but in case yours doesn’t, the basic principle is pretty simple. 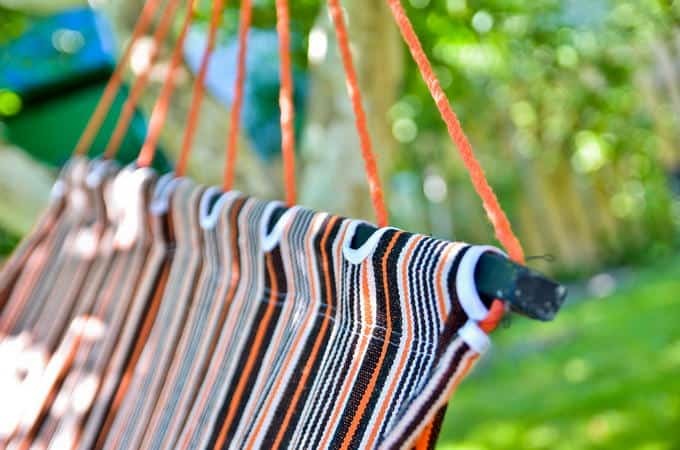 A backyard hammock will usually have a spreader at either end, keeping it open and easy to hop into. These allow you to customize your straps. If you’ve got the know-how or like a challenge, this is certainly an option. These straps are usually made from heavy-duty nylon or polyester. Many camping hammock straps are water-resistant at the very least, with waterproof straps being the norm. Camping straps are also lightweight and pack away easily, allowing you to take them anywhere. They do need to be durable if you plan on putting them through their paces, with tree bark and stone eventually wearing them down. Backyard hammocks come in a variety of materials, from nylon to cotton, with the choice basically coming down to how much abuse you want them to take, as well as visual preference. Cotton straps will always look better, while nylon or polyester will last longer. Even the more heavy-duty backyard hammock straps aren’t meant to stand up to much abuse and are best kept out of the rain when not in use. They will also break down if left outside for extended periods of time. These hammock ties are simple and straightforward, requiring only a basic understanding of how they work in order to assemble one properly. When it comes down to it, you can use all manner of material to fashion a DIY hammock strap. Many people use standard nylon or polyester, but you can feel free to use whatever happens to be lying around. We recommend a mix of carabiners and knots to properly tie hammock straps, especially when camping. The best knot to use when you’re using rope or cord to fasten your straps to your chosen tree is a figure 8. It is a sturdy, beginner-friendly knot that has many advanced applications. Wrapping the cord around the tree and securing one end with a figure 8 will then allow you to use a carabiner to hook into your hammock straps. If you don’t have a carabiner, the cord can attach directly to the hammock straps, but will eventually wear it down faster than with a carabiner as a buffer. Camping hammocks will benefit from carabiners attached to both the fabric loop of the hammock and the material you secure around the trunk. Two trees spaced around ten to fifteen feet apart are ideal, with the trunks needing to be sturdy enough to hold your weight. If you cannot find trees that are optimally placed, many straps allow for easy adjustment, allowing you to lengthen it to fit a wider space. Any elevated object will do for support, but trees are optimal because their shape makes properly tying hammock straps much more efficient and simple. Not everyone is lucky enough to have multiple trees in their backyard, instead opting for a stand, which will usually be made of durable plastic or light metal, such as aluminum. Stands are simple to assemble and will generally use a length of fabric with spreader attachments on one end and a loop on the other that attaches to a hook on the stand. If you’re planning a camping trip, a camping hammock is a great choice. Hammocks are extremely versatile and many come with easy-to-use straps that make setup a cinch. If you do opt for a length of cord and carabiners, it is a solid option, with many uses. 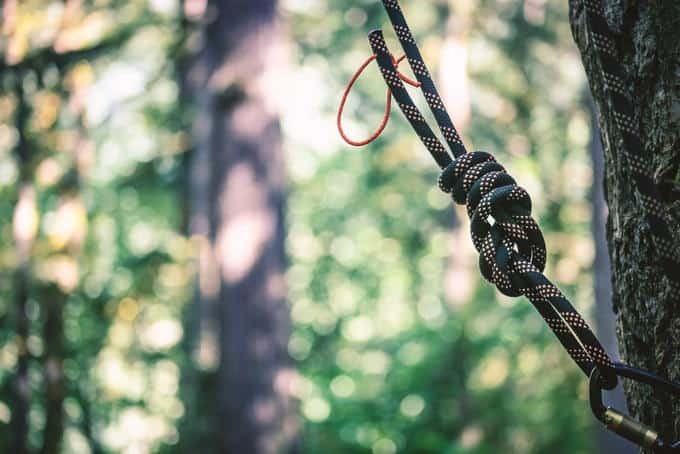 At the end of the day, a length of rope and carabiner should always be kept close while you’re camping, as they are useful in any camping situation. Remember that you should always double-check any wear and tear before you go out camping, just to be on the safe side. Cotton and other porous materials, while suitable for backyard hammock straps, don’t stand up to the elements enough to really trust them in inclement weather, and aren’t used for camping hammock straps.